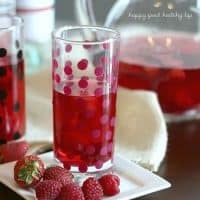 This Pomegranate Berry Sangria is perfect sweet drink to celebrate any occasion! I have to admit, when it comes to holidays, I get more excited about the beverage prospects more than the actual food! Whether it’s Christmas, Halloween, or Flag Day, I will always find a reason to partake in the beverage. And of course there is Valentine’s Day just a couple of days away. Do you have plans? Let me tell you what I think about this drink and Valentine’s Day. I think it is the perfect Girl’s Night Sangria. No one good enough to spend this holiday with you this year? It’s no big deal! Get your girlfriends together, and whip up this baby in no time. Seriously, just pour pour pour. Hardly any measuring at all. Of course, it is completely up to you who you share this fruity beverage with, but I’ll be honest – it’s totally a girly drink. Or you know, you could just keep the pitcher all to yourself and serve your man steins of beer. That totally works too! So I really want to know all about your Valentine’s Day plans down in the comments. For real. Spending it with your spouse? Spending it with your best girls? Taking your kids on a date? Or totally disregarding the day all together? No matter what it is you’re doing, there’s definitely a way to fit this pitcher of sweetness into your evening. The best part is that the berries have been sitting in wine for hours, so you can only imagine how deliciously drunk they taste. Drunken berries = the best! 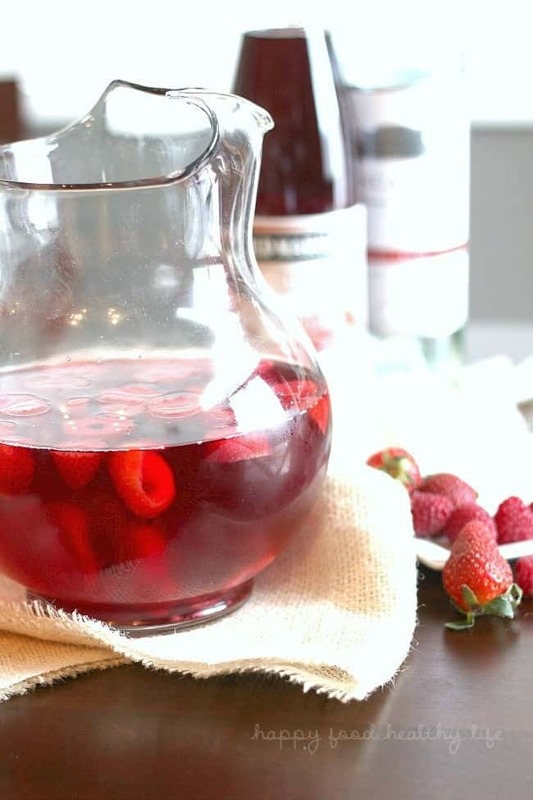 Combine wine and berries in a large pitcher and allow to sit in the refrigerator for at least 6 hours. Right before serving, pour the soda in, so you have fresh carbonation. 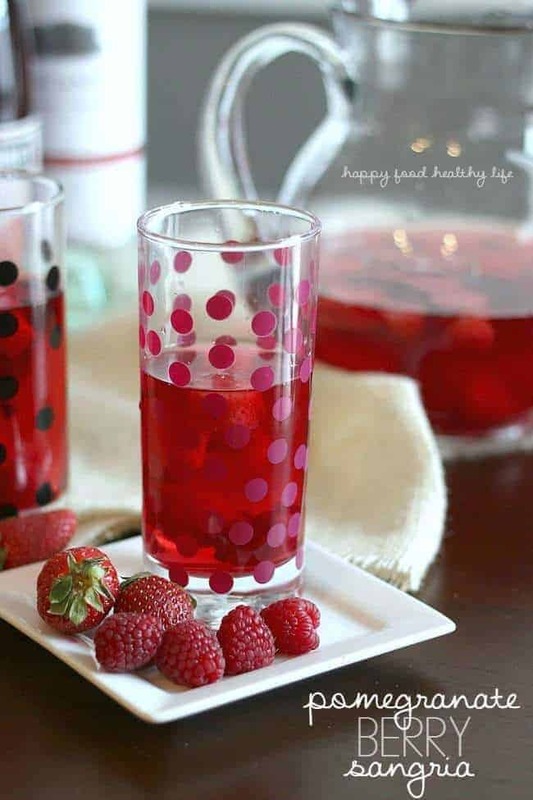 If you aren't able to find pomegranate soda, use equal parts pomegranate juice and lemon lime soda or club soda. I love Sangria anything. This one looks like a win. Nicely done.